Available 24-hours a day for service emergencies. Call to schedule preventative maintenance, new service and repairs. Your building’s HVAC system is the lifeblood of your facility and likely its largest energy expense. HVAC service and preventative maintenance programs by Wiegmann Associates ensure consistent and reliable temperature control, comfort and air quality, with a focus on energy conservation. As your facility systems advocate, we look beyond the immediate service or repair to find real solutions for the life of your building–long-term savings, energy efficiency and optimal comfort. Our highly skilled professional technicians stay up-to-date on equipment and technology innovations. They also have access to the deep expertise of more than a dozen professional engineers at our headquarters, where we design/build some of the most complex HVAC installations across the country. The Wiegmann Service Department has Expanded! We have doubled the size of our HVAC service team in 2018, making Wiegmann Associates one of the largest commercial heating and cooling service providers in the St. Louis region. Join the hundreds of schools, healthcare facilities, financial institutions, corporations and government agencies that put their trust in Wiegmann Associates’ HVAC service. Wiegmann Associates has the expertise to quickly and effectively maintain, service and repair your mechanical equipment. We tailor our service contract to your needs, taking the time to address your facility’s specific requirements. A Wiegmann preventative maintenance contract ensures peak performance of your HVAC equipment while maximizing its useful life and minimizing energy costs. 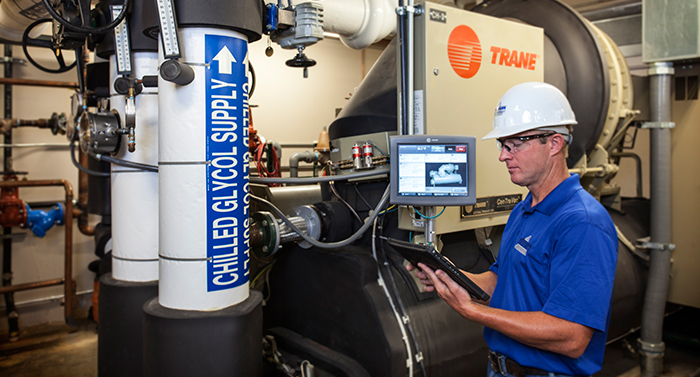 We’ll tailor a preventative maintenance program to your unique needs, taking time to address your specific equipment and facility. Our repair technicians and schedulers use state-of-the-art, real-time fleet tracking software to ensure efficient and responsive service. This technology helps us to predict accurate arrival times through dispatch and ensure accurate billing. Our responsive, skilled service technicians are available 24/7 in the St. Louis-region, to help you avoid business disruption in an emergency. Our technicians are always professional in your work environment. Schools, healthcare facilities, financial institutions, corporations and government agencies put their trust in Wiegmann service.